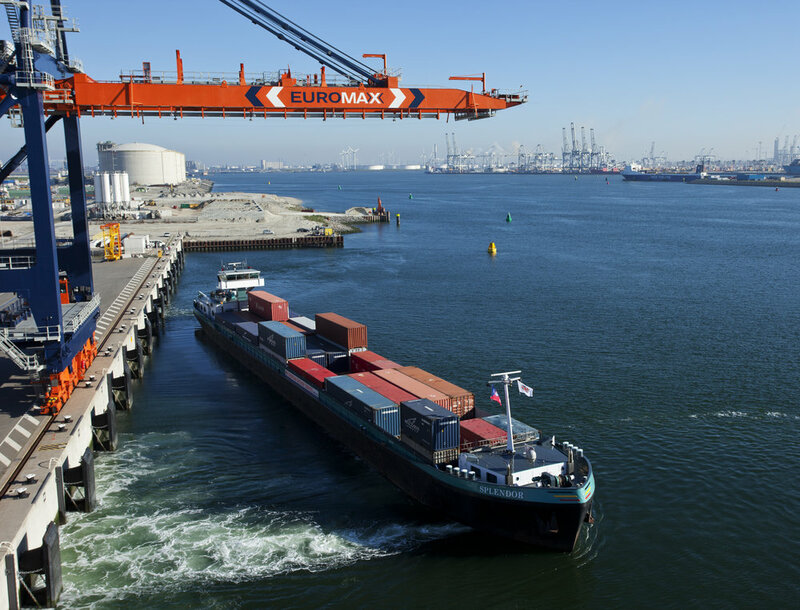 As barge rates slump in the face of increased rainfall, the Central Commission for the Navigation of the Rhine (CCNR) has warned that Rhine River water levels could fall again in December. CCNR administrator Kai Kempmann told FreightWaves that water levels are currently rising following recent rainfall that has led to significant “surface discharge” into the river. As a result of the increased water levels, barge capacity has also increased which is pushing freight rates lower as a result. But the lower rates may not last. Even so, Kempmann said that the expected levels in December will not fall to the extremes witnessed from the summer and through the autumn months. All three Rhine gauge stations, Kaub for the Middle Rhine, Emmerich, Lower Rhine and the Upper Rhine station at Maxau have reported rising water levels as a consequence of what Kempmann called “intense rainfall in recent days”. Heavy rains and rising water levels have seen freight rates for cargo carried on Rhine barges decline, according to the CCNR. In a presentation last week, the CCNR senior economist Norbert Kriedel told observers that water levels at Kaub had seen similarly high rates due to low water levels as in 2015, but that the 2018 decline in water levels has been more prolonged. The CCNR quarterly freight rate index hovers at around the 100 mark during periods where the loading capability of 2.5 metre and 3 metre draught vessels can operate at levels of 60% loading and above. In 2015 the index reached 500 points between June and December of that year. This year the index has topped the 500 mark from May up to the present with loading levels for the smaller vessels having fallen to just over 50% and nearly 40% for the three-metre draught vessels. The CCNR freight index is expected to decline over the next quarter with reports that rates have already shifted significantly.